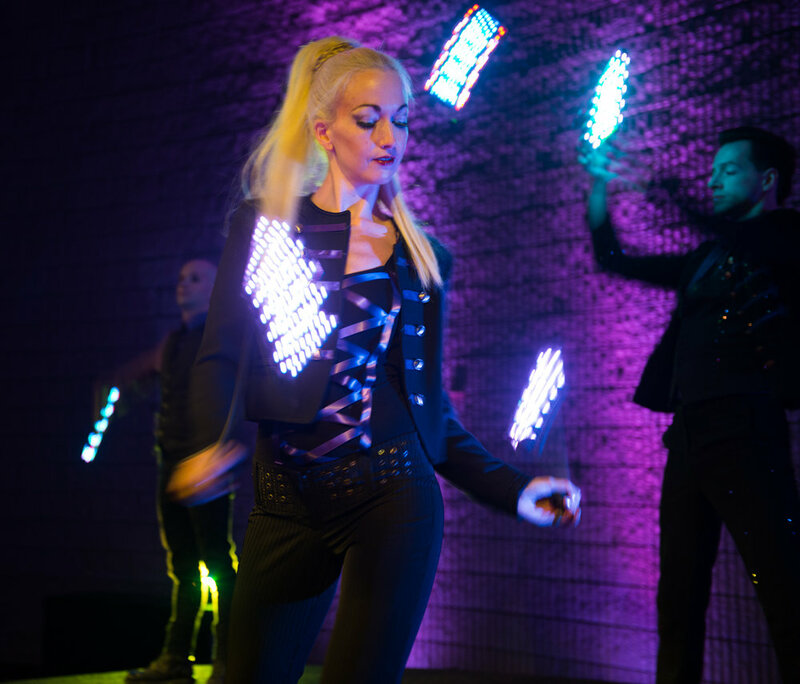 LED Poi is a quintessential staple of LED performance. Artists create incredible shapes with light trails, dazzling the audience. 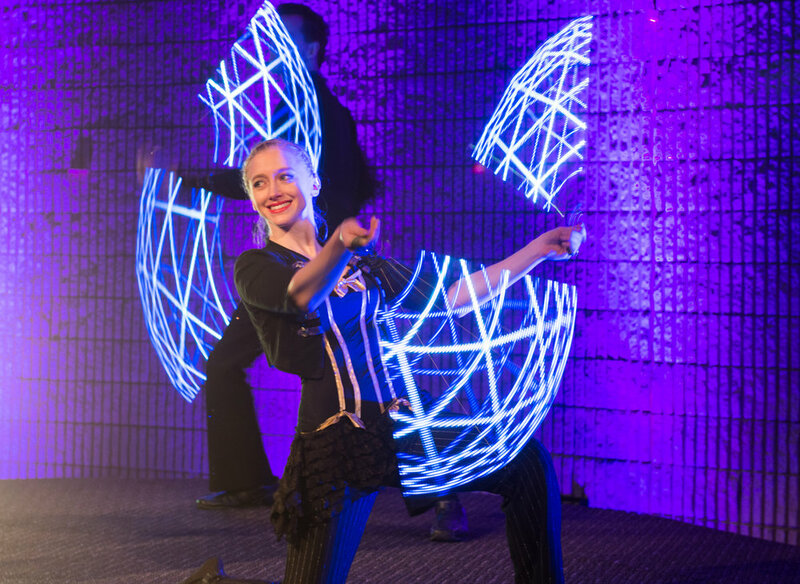 LED Fan and Hoop Dancing provides an ambient sense of wonder while keeping guests thrilled. 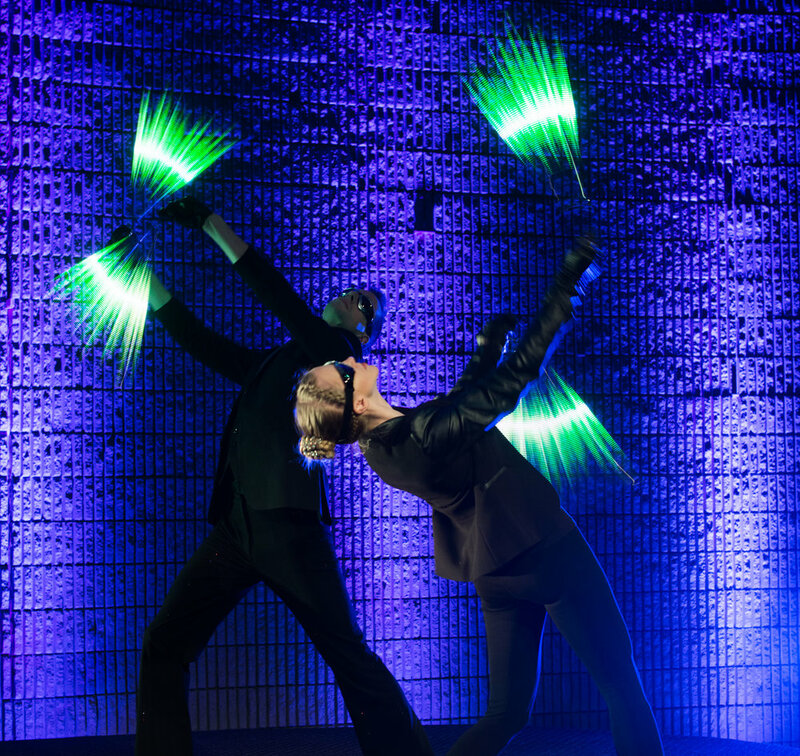 LED Staff acts add an exciting martial flair to events. Quick and precise, these acts borrow aesthetics from many artistic disciplines. 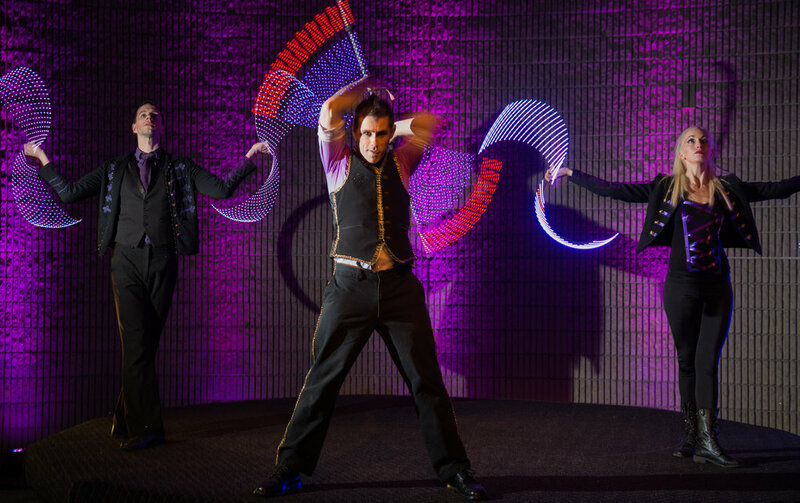 Visual Poi are the most cutting edge act available for custom LED dance art. These instruments rely on persistence of vision effects to create logos, slogans, and any custom branding or graphic designs you may want.